In my last post about my beloved tacos al pastor I commented on how my once pastor-centric life had become more or less dull after speculating that I had eaten in every pastor place around Denver worth mentioning. As usual I spoke too soon. Without thinking. I do that rather often and used to feel bad about it. Yet isn't speaking boldly without any thought to the consequences of one's words what it means to truly blog? I mean at the most fundamental level? The answer is yes. Unequivocally. And once again a reader showed me the light. Thanks to you, astute reader, for sticking with me, as you first told me to check out El Trompito several years ago. Please take the presentation of this photo as an apology of sorts. That's the world's best cello ensemble playing a symphonic celebration to you. It is also an example of the internet at its best. 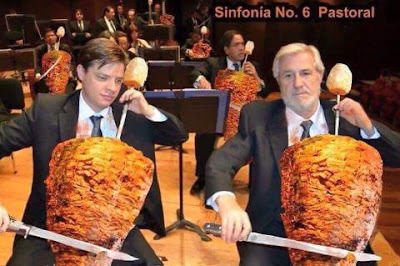 Unfortunately, I am not writing to tell you about my time at the pastoral symphony pictured above, though it must have been delicious. No, instead I am writing about a more-or-less recent visit to the aforementioned El Trompito. I had stopped by the south-side El Trompito at least four years ago early on a weekend morning when I was in full taco hunt mode (aka before kids). 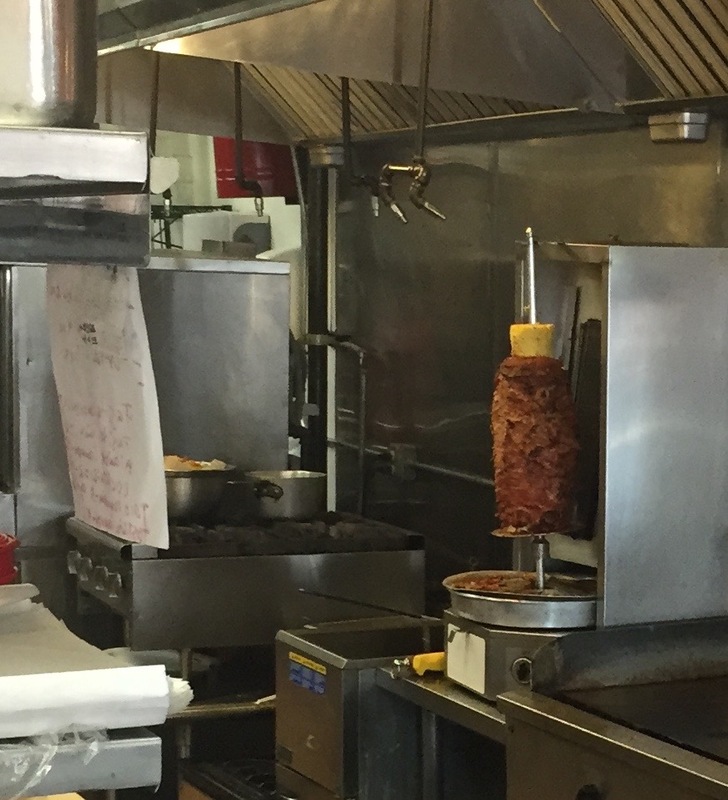 Mostly I stopped because of the name: Un trompo means "a top", as in the spinning toy kind, and is the common nickname for a rotating spit of pastor. So, I figured, there must be one inside. I got there just as they were just opening and the lady who I talked with seemed vague about the status of the spit. Weekend nights she thought. But she wasn't sure. Based on the hesitancy, I never made it back. That isn't surprising because if you don't live around -- or need to drive through-- Hampden where it meets Havana, there is really no good reason to go there. At least that is what I thought until I finally ate at El Trompito. I visited just a couple months back, to meet one of the principal voice's of Westword's food writing: Mark Antonation. 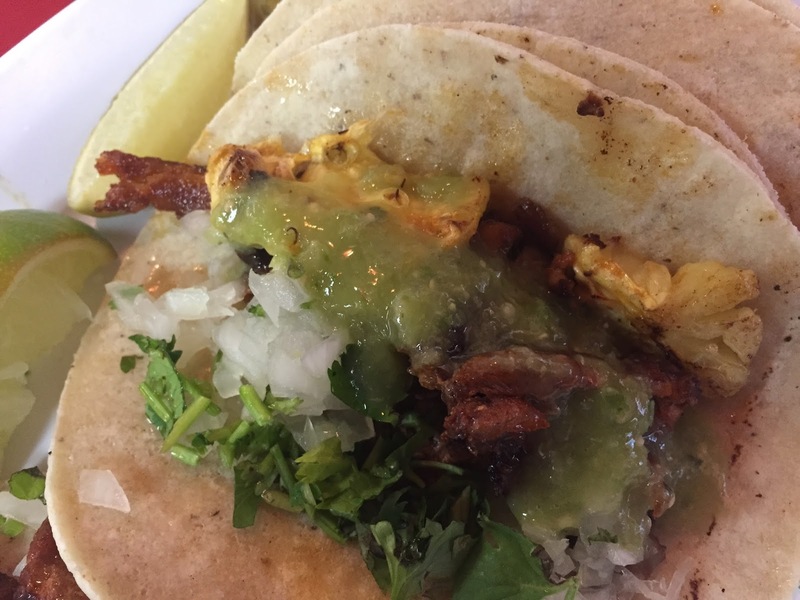 We met to talk tacos, and dive into some of Trompito's more unique regional items which he so eloquently described in his own post. I was quickly diverted from the mission to sample "other" regional items on the Trompito menu by the modest spit of pastor on display behind the counter. I ordered three. There was other conversation. Something about another location (which the above reader told me about), something about being open for this many number of years. 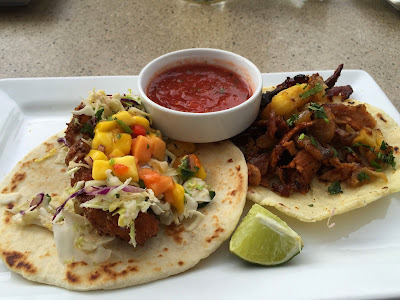 Mark and my wife talked at length about regional Mexican specialities, and the Mixiote they both ordered. Mark got all that down, being the real journalist of the two. 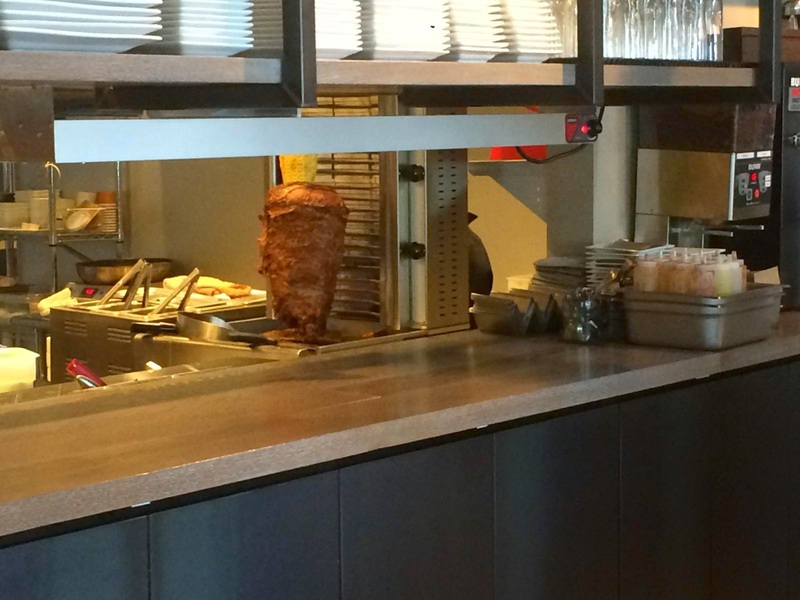 I became singularly focused on the nice looking pastor behind the counter, then in front of me. Then I ate it. It sorta does look like a stringy hummus I suppose. But it was real-- fruit that is-- and it was - as it always is-- the perfect accouterment to the sliced marinated pork that is pastor. This taco was solid all around. Indeed, one of the better I have in Denver, though to be fair it has been a couple years since I made my way through all of them. 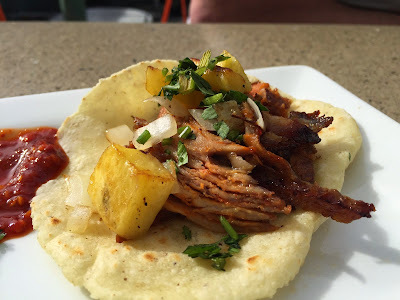 I also had another taco near and dear to my heart: chicharron en salsa verde. This is a simple taco, made by soaking crisp fried pork rinds in a tomatillo-based salsa. A lot of has to do with how good the salsa is, and for me the hotter the better. 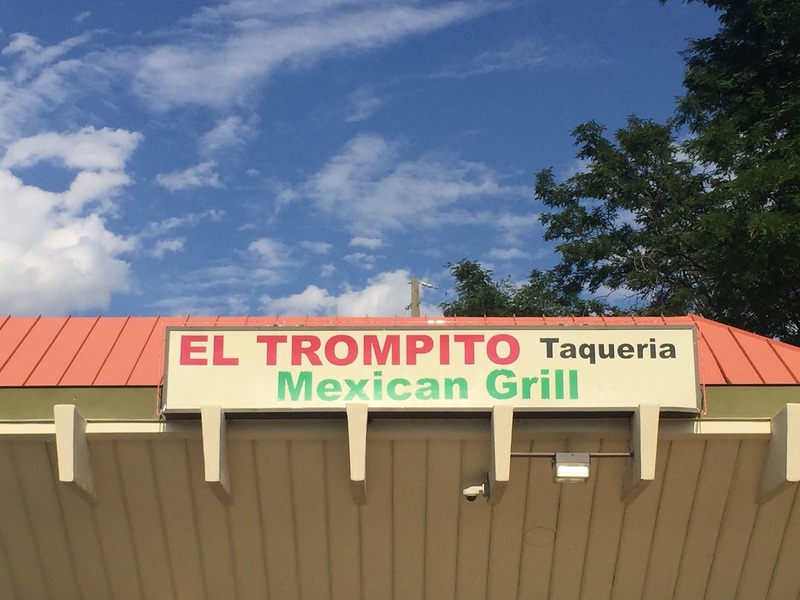 El Trompito version was not overwhelmingly spicy, but it did the trick. If you haven't tried this taco staple, please do. And Trompito is a good place to start. Tacos. Although I have continued to eat them with at a disgusting pace over the past several months, I have truly missed not writing about them. Thanks again for pushing me back out to try El Trompito. I will eventually make it up to the north-side one... soon(ish). And keep the suggestions coming. 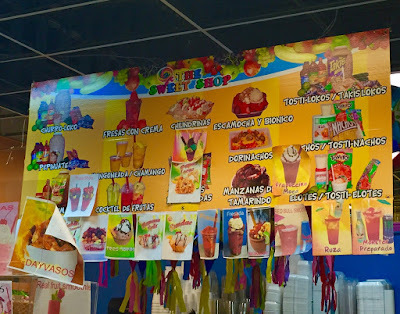 Shopping Mall Snacks: The Sweet Shop and it's "Dorilocos"
Shopping mall food. It's bad. I don't exaggerate (much) when I say that it is never, ever good. Even the standard fast casual chains you otherwise don't mind most of the time somehow taste worse in the middle of those evenly lit, beige-tiled, echoing hallways of consumerism. Then there is The Sweet Shop in Colorado Mills. It looks like just another run-of-the-mill candy store that even with its insanely bright colors fails to stand out much among the chaos of Colorado Mills on a weekend afternoon. But it is much more. 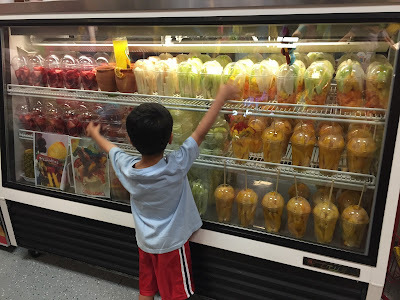 A couple ofweekends ago, among those marching ants ready to always buy more was my family of four, who after sating our shopping needs headed over to The Sweet Shop-- straight through the distracting displays up front to the back counter where the good stuff is. The Sweet Shop, as much of Colorado Mills, does things Mexican style. 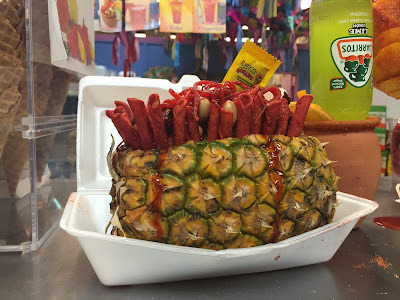 The front half is full of antojitos that make my wife's mouth water: chile covered dried fruit and hard candy of all kinds. Above, from the ceiling, hang piñatas of all your favorite cartoon characters. But at the back counter is where it gets really good. The first thing that stands out is a display fridge with rows and rows of fresh fruit in cups, ready to be sprinkled with chile and lime. 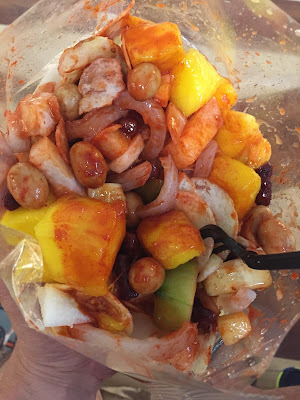 That is, food in a shopping mall unlike anything you have ever seen in this town, though variants on food you find on any street corner in Mexico (OK, maybe not the over-the-top pineapple concoctions pictured above). The Sweet Shop also has Dorilocos, one of the latest food-fads from the streets of Mexico. Making Dorilocos involves cutting open a bag of Doritos and dumping ungodly amounts of seemingly random food items - from candied peanuts to fruit to pickled pig skins-- then dousing it all in chile and lime, and serving it right in the bag. Appropriately, for a food store located in a discount outlet mall, the Colorado Mills "Dorilocos" is a knock-off version that uses Tostitos and is therefore cleverly called "Tostilocos". 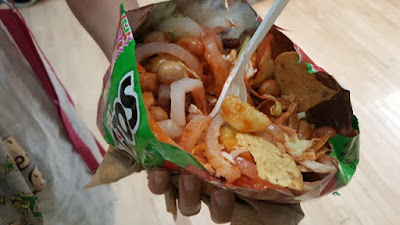 But even a taste of Tostilocos will give you an idea of why a) it's actually rather good, b) you may only choose eat this once in your life, c) thank goodness that fads, by definition, don't last. The picture above was from months ago. 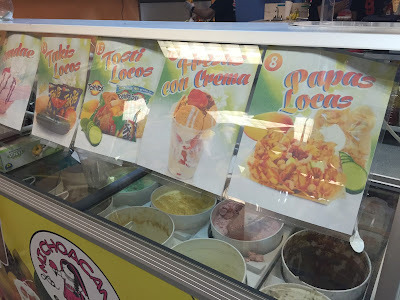 This time around I did not dare sample a Tostiloco again, but pretty much had the same toppings on a bag of plain potato chips. 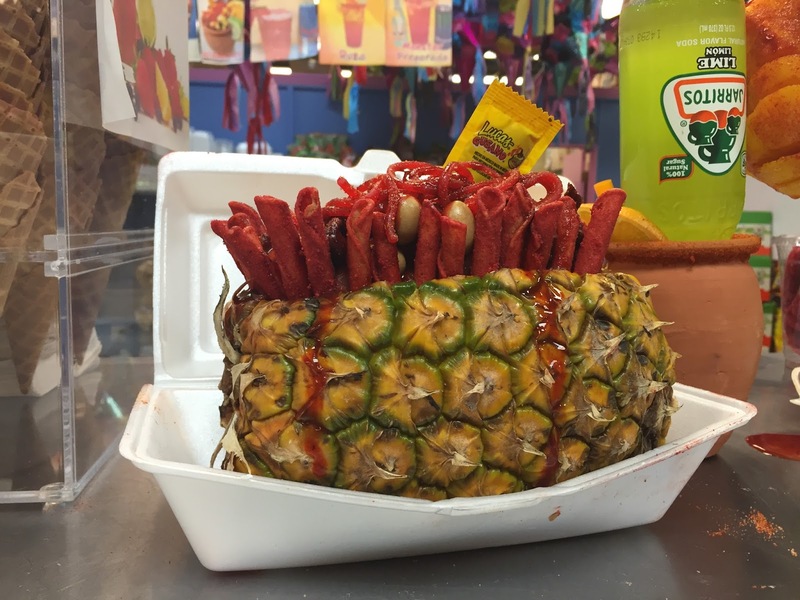 It was called, you guessed it: Papas Locas. This snack, not being a bunch of nasty Xtreme nacho cheese knock-off Doritos but rather tried and true plain ol' potato chips was, well, amazing. 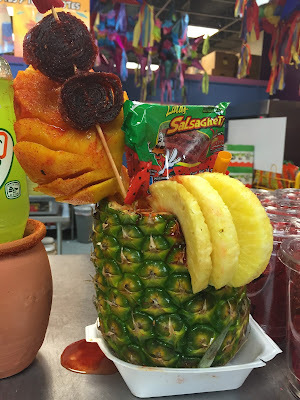 I am still waiting for chile-covered fruit stands to take off in Denver. I am not surprised to see it at Colorado Mills, though I am surprised there isn't more of it all over town. 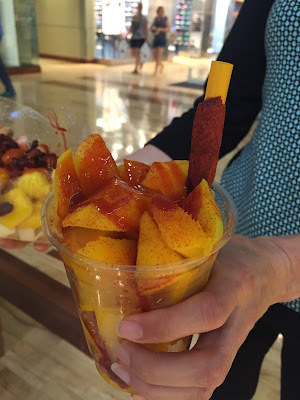 True, it is an acquired taste to many of us, but there is something particularly satisfying (and incredibly addicting) about spicy fruit even after the novelty wears off. The Dorilocos thing, however, will absolutely not last. It can't. It is too horrible on too may levels. And even though some variant of it will (the Papas Locas, for example), you should -- wait, I never, ever thought I would write these words and not mean the exact opposite of what I was saying: do yourself a favor and get on over to Colorado Mills now. The Sweet Shop can also be found on the internet. Seriously, do yourself a favor and pay them a visit. Recently someone was nice enough to send me a book. It was flattering that after pursuing my blog that this publicist thought me literate enough to both read and then summarize a grouping of words longer than a tweet-- or a blog post. But of course book reports are also a staple of most elementary education programs, so I guess she might have figured anyone could really do it. 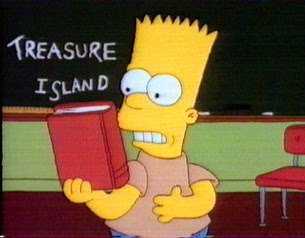 And unlike books of English classes past, I actually read this one. "Part of this D-minus belongs to God." The book that I was sent was called: The Joy of Ballpark Food: From Hot Dogs to Haute Cuisine by Bennett Jacobstein. Baseball and food. With pictures. I haven't had such a bonding experience with a book since someone sent me a recipe for al pastor years back. 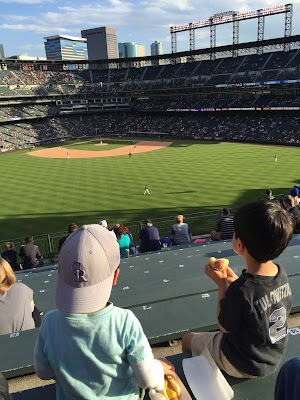 I have always been somewhat of a ballpark food purist-- although traditionalist is the better word, as "pure" cannot be used to describe anything I normally eat at a ballgame. 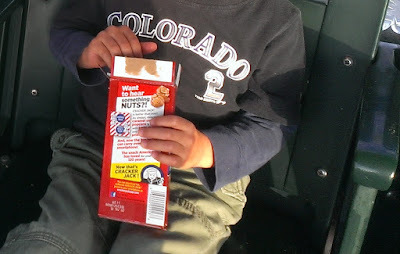 When I take my toddlers to a game I give them a steady diet of peanuts in a shell, hot dogs with mustard, and a box of Cracker Jack. This to me is as fundamentally important to baseball as good defense and base running. My kids may never grow up to be three-tool ball players, but they will know the three essential foods of the best baseball fans. Mr. Jacobstein starts out his master work by underscoring these important traditions as well. He does a great job of presenting a good bit of baseball food history, including a fascinating look back at the origins of the hot dog. Then he gets into the meat of the book: an exhausting list of unique ballpark foods from every single stadium in the country. Over the years I have taken advantage of the fact that Coors Field allows its fans to walk in with just about anything that isn't in a glass bottle. I have strolled through the Blake St. gates with Cuban sandwiches, empanadas, tacos, burritos, and even a full pizza in a box. But that has also kept me from experiencing some items that I didn't know were even available to me that Mr. Jacobstein so kindly highlights in his book, such as chocolate bacon. What is your favorite baseball food? 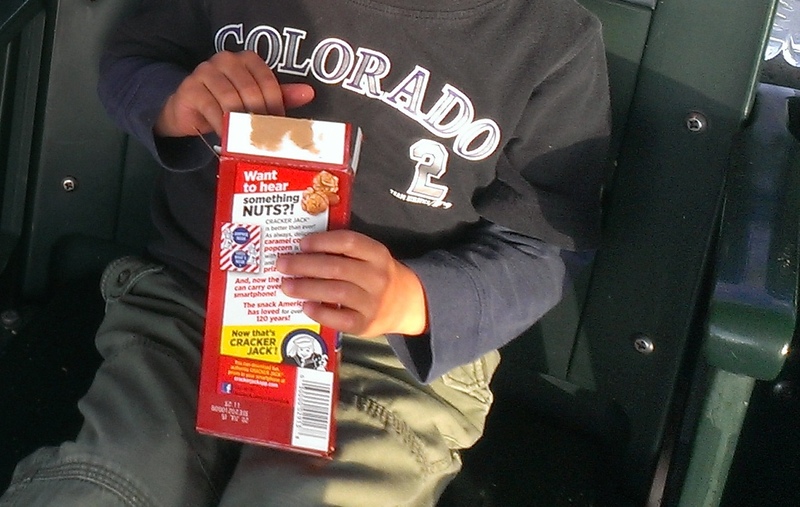 What food brings you the best baseball memory? 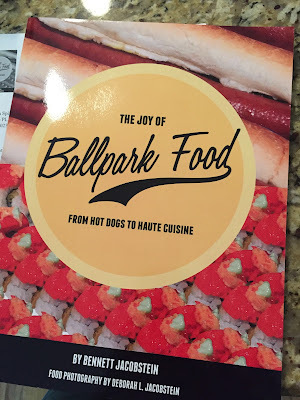 Just send me an email or leave a comment below (though I will need an email at some point to get you the book) and my favorite answer will become the lucky owner of a virtual copy of Ballpark Food. My blogging (it's sort of sad that the continued de-evolution of the English language makes "blogging" an accepted verb these days), along with its mandatory dinner photos (that interrupt the flow of a meal and annoy other diners and restauranteurs alike), has left an indelible impression on my youngsters in their first four years of life. I've written before about how my poor kids think it is normal to snap a close-up of every plate that is set down before them, but the other day they took it to a new level. 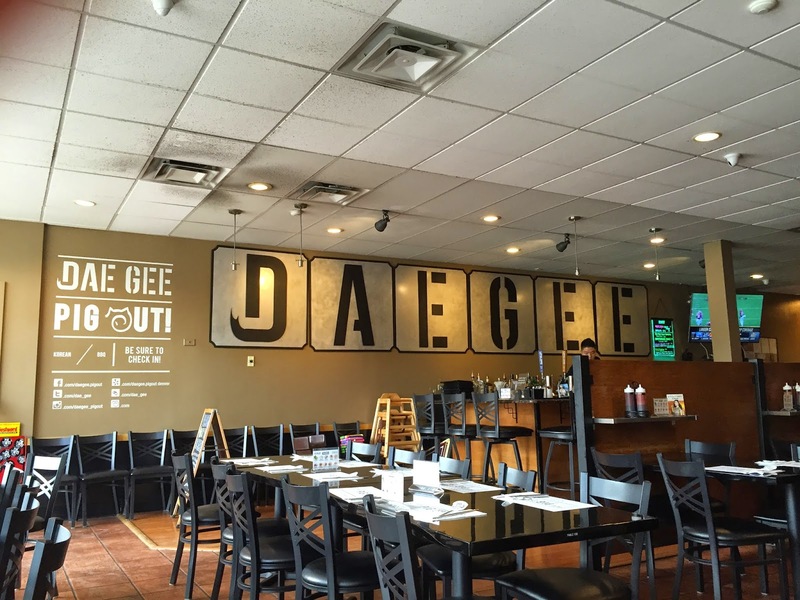 We had eaten at the relatively new location of Dae Gee on Colorado Blvd. a week before, and when we asked them what they wanted to do this past Friday afternoon they simultaneously yelled: "Pig Out!" "Pig Out" is more or less the tag line of this Colorado Korean chain, and they proceeded to march around our house chanting: "Pig Out! Pig Out!" The chant lasted several minutes before one of them (they look the same, you know) asked to see my photos from our last visit. All I had to show them was a solitary photo of my steaming Bibimbop bowl. Where, they wanted to know, was the up-close photo of their zucchini pancake? 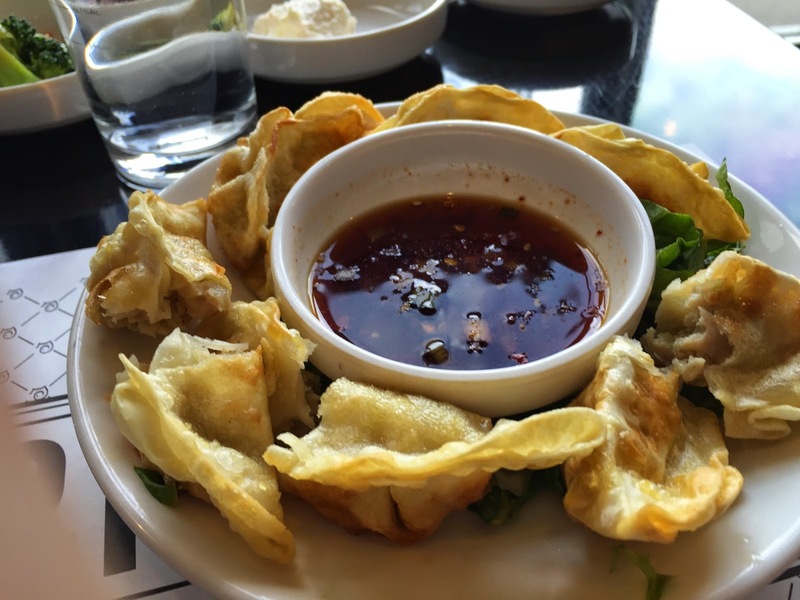 Those little crunchy things (fried dumplings)? What about the little white plates that were all over the table (Banchan), or the great big sticker of the pig's face that they had each stuck on their shirts like walking Dae Gee mini-billboards? "I only took this one picture," I said, and I could feel their disappointment swell up from within their little bodies. "Who are you?" They each seemed to glare, "I thought you were my father?" That is how I found myself back at Dae Gee, camera in hand, ready to snap photos to temporarily win the affection of my boys. And ready to eat. Although Dae Gee is advertised as Korean BBQ, they don't have table grills as of yet due to pesky regulartory processes. Still, Dae Gee has the thick, smoky, greasy air of a real-deal Korean BBQ joint. The aroma is at once enveloping and instantly inviting. I went from ready to eat to ravenous in an instant. Indeed, there could not be a better way to describe my mindset that the two words splattered all over the restaurant: "Pig Out". When this dish is done right (and it is done to perfection at Dae Gee), it is really one of the world's greatest dishes. The key is that fire-hot stone bowl. So hot that it cooks the raw egg as it gets mixed in with the rice, veggies and meat. But waiting a few minutes is also key. It lets the bowl brown the rice into an irresistible crust. 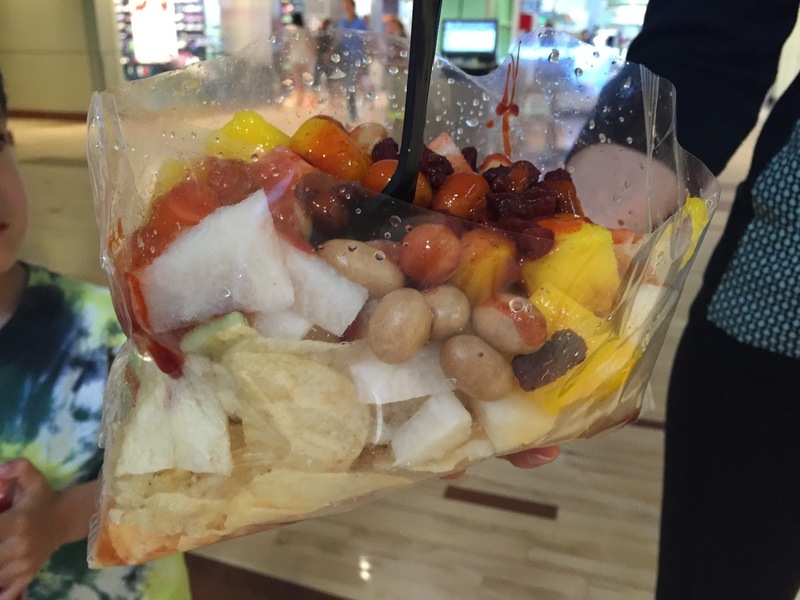 Then, and only then, mixed up all together it becomes a delectable Korean harmony: mmmm. There are, of course, many other items at Dae Gee. I will probably wait for the table grills to be installed before getting the BBQ again, though it was really pretty good the last time I had it. (Plus there is a little bit of a misleading verbiage on their menu that implies "unlimited BBQ" that will come with those aforementioned table grills.) 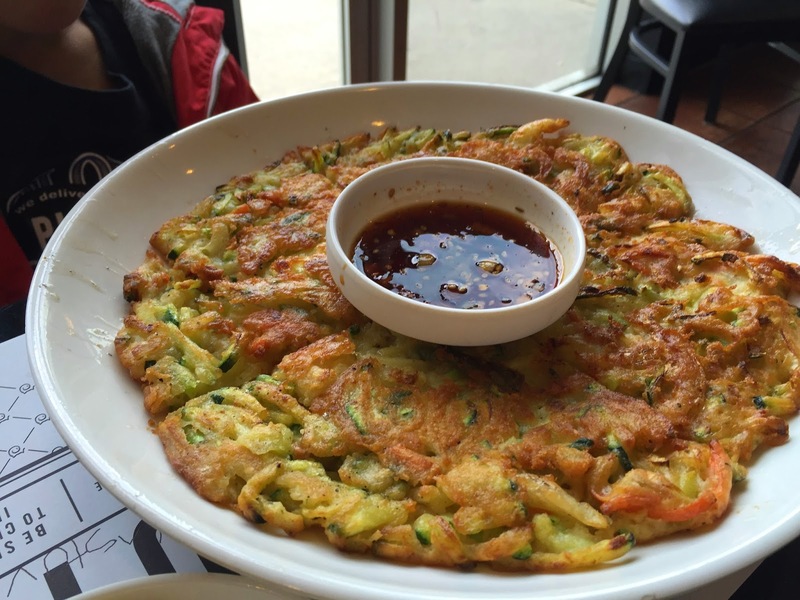 My sons are also in love with the zucchini pancake which, though a little greasy, is a chopped veggie -almost latke-like patty with a distinct Korean flare. And the fried dumplings, which anyone would love, but that are particularly good at Dae Gee for being so light and fluffy. 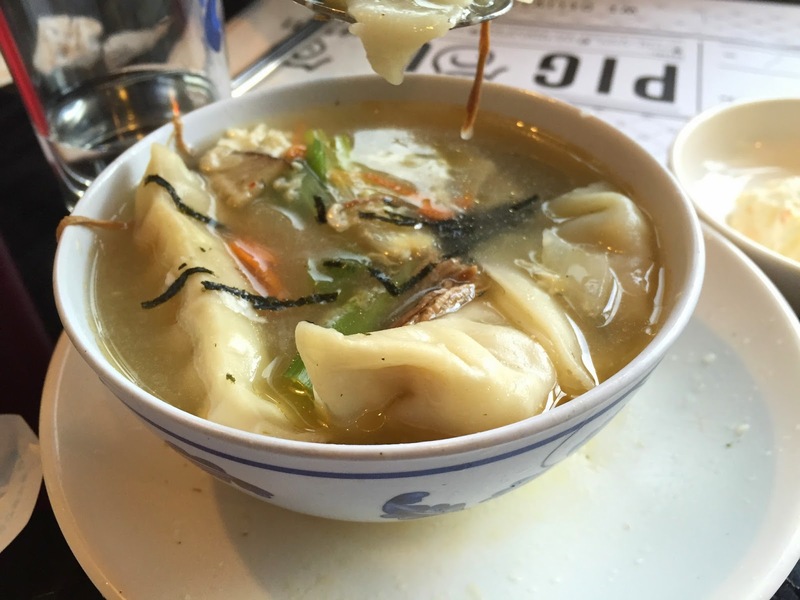 We also shared a small bowl of Man Doo Gook, or chicken dumplings (and such) in a beef broth. It was a glorious soup: a subtle but intricate broth packed with veggies and shredded beef. 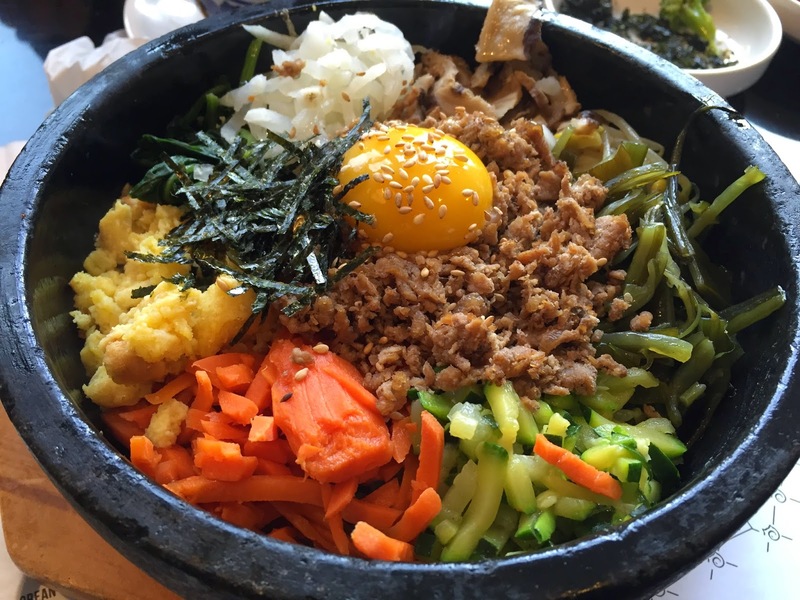 There is not a shortage of Korean food in Denver. However, much of it is found in the far corners of places like Aurora, which understandably makes it less likely to reach the average Denver diner. 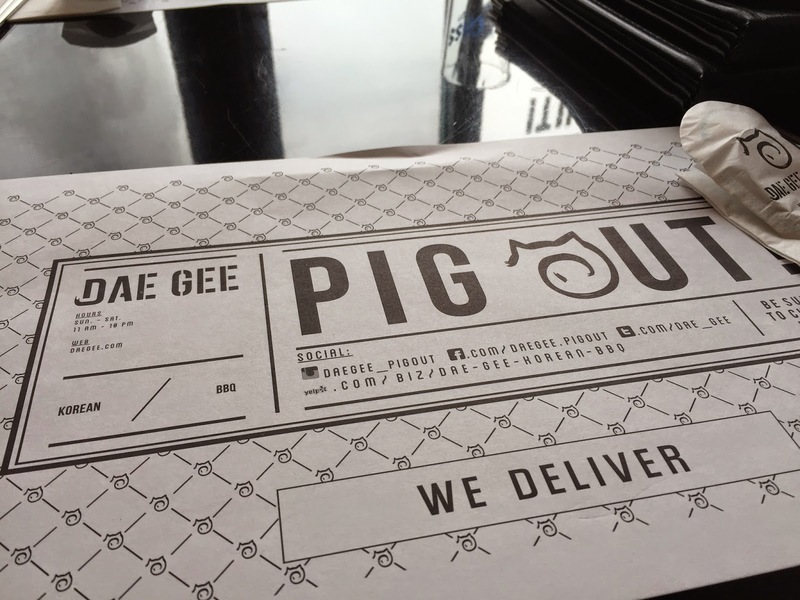 Dae Gee brings the Korean adventure to the average Joe. 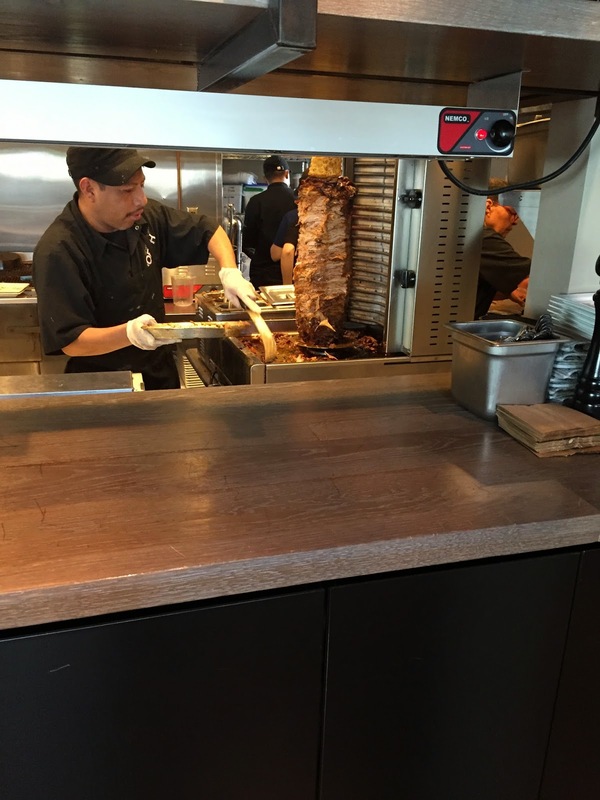 It does so with a clever logo, a streamlined image, a clean design, and a friendly, inviting environment with staff that is willing to spend some time to explain the menu and educate its customers. They even break down the basics in their menu with a step-by-step guide to eating proper BBQ. 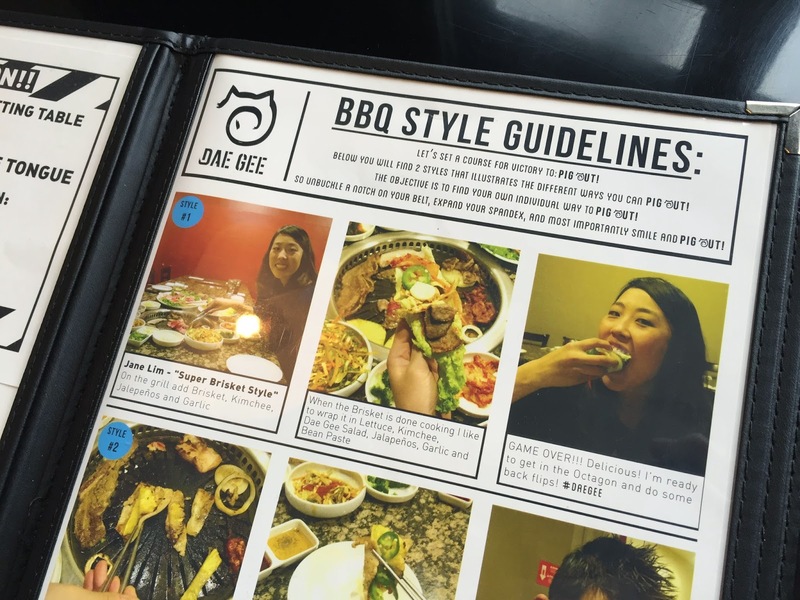 Dae Gee does all this, as far as I can tell, without sacrificing real-deal Korean flavor. You can't get fried rice. There is no kid's menu. Nothing is dumbed down or disguised in order to appeal to the middle-American palatte. 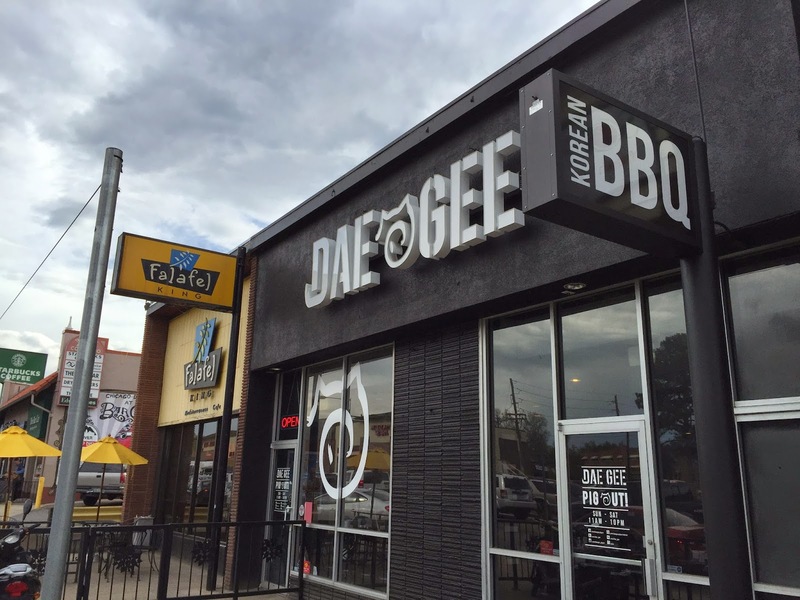 Dae Gee brings the flavor to you, Denverite. Now go and thank them with your business.